Ghostbusters, My Little Pony, Star Trek and more head back to the future (or the past) in January. At this week’s New York Comic Con, IDW announced IDW 20/20 — five one-shots featuring some of their licensed properties that will celebrate the publisher’s 20-year history. Featuring Ghostbusters, Jem and the Holograms, Teenage Mutant Ninja Turtles, Star Trek and My Little Pony, each story will be set either 20 years in the past or 20 years in the future. 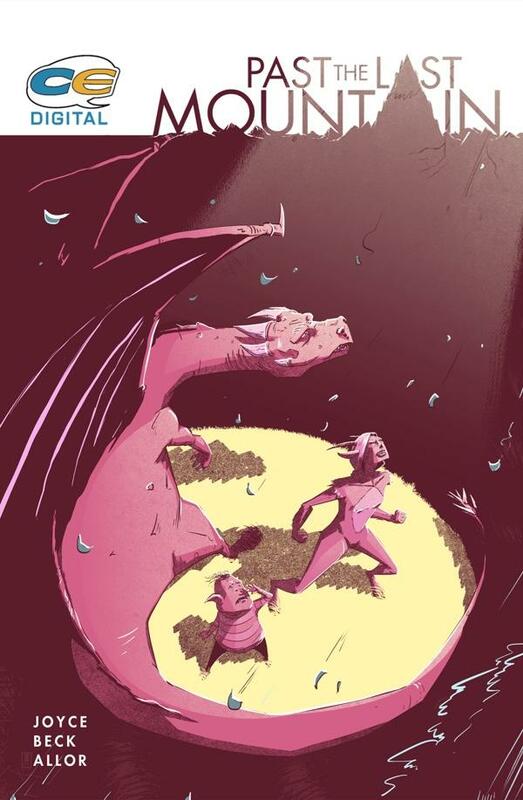 Paul Allor and Nelson Dániel team for an “at times completely bonkers” five-issue miniseries based on the board game. IDW’s partnership with Hasbro has brought everything from My Little Pony to Transformers to ROM and Micronauts to the publisher, and now that line of books is getting a Clue. A five-issue miniseries based on the iconic board game will debut in June. 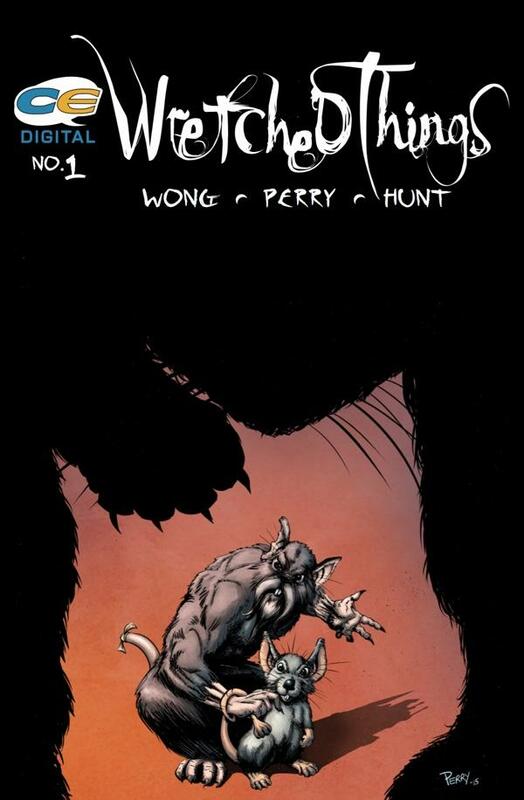 Four new titles hit comiXology on Jan. 13. 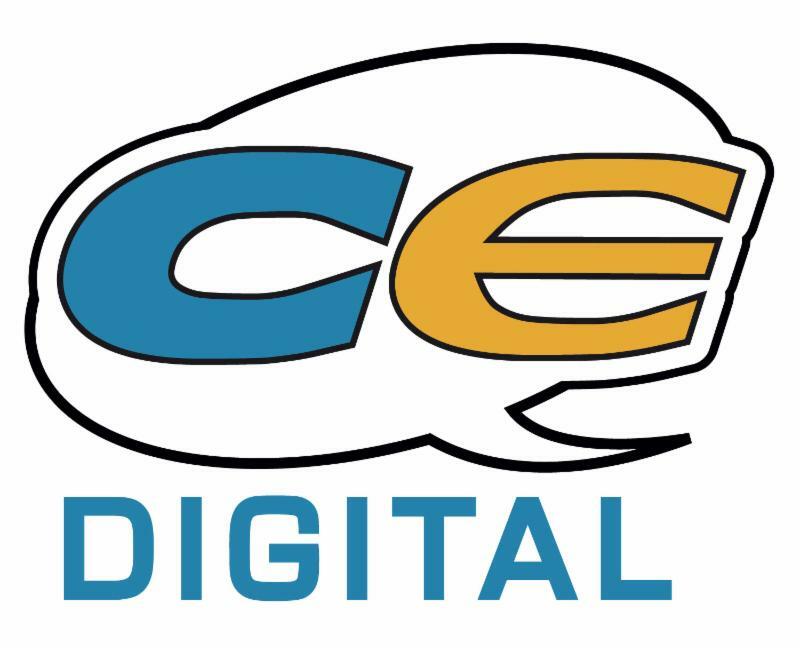 Comics Experience, the online school/community aimed at future comics creators that’s run by former Marvel and IDW editor Andy Schmidt, will begin publishing digital comics by its members and alumni later this month. Karma Police by Chris Lewis, Tony Gregori, Jasen Smith, and Nic J. Shaw, “a bizarre generation-spanning mystery full of murder, intrigue, reincarnation and even luchador demons.” LUCHADOR DEMONS! 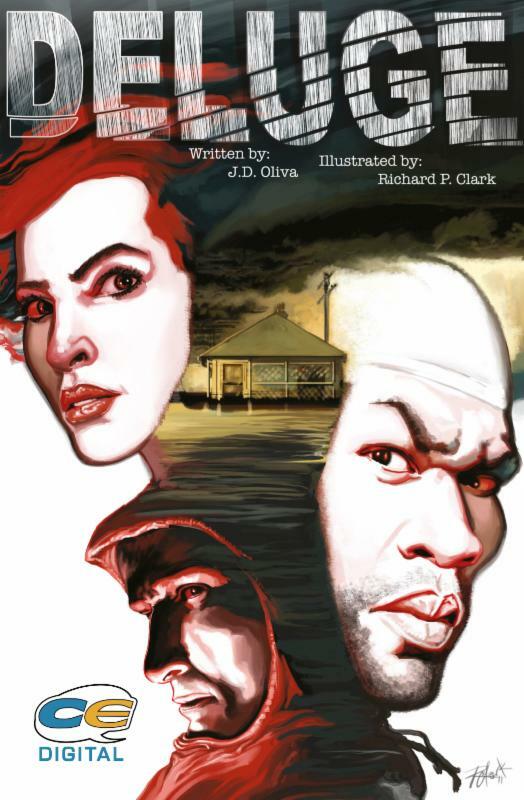 Deluge by JD Oliva and Richard P. Clark, a crime drama set against the backdrop of a post-Katrina Gulf Coast. This initiative follows the one announced last year where Comics Experience teamed with IDW Publishing to publish comics by members of their online community. That one brought titles like Tet and Gutter Magic to the publisher. Check out covers from the new titles below. 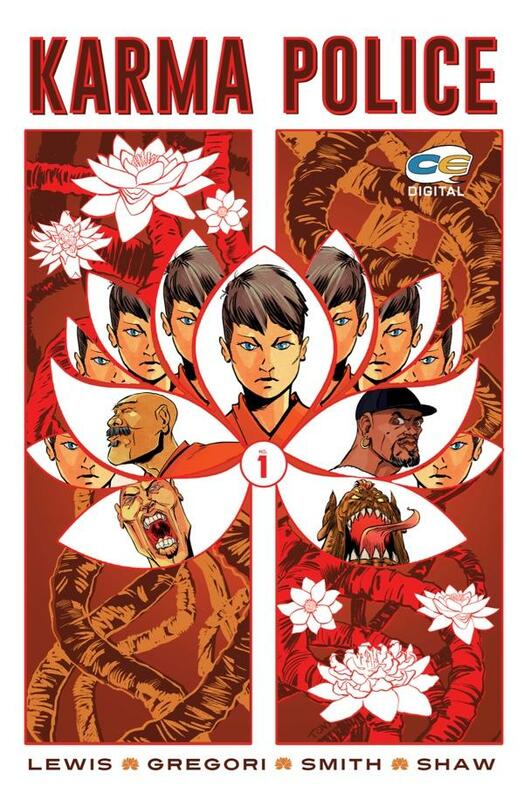 Early September saw the release of Paul Allor’s creator-owned series Tet from IDW. Allor was kind enough to give me a brief interview. Enjoy. Tim O’Shea: You’re very precise with your language consider this advice you give the reviewers Quick tips for people reviewing Tet: Marines should be called Marines, not soldiers. Also, not all opposing forces in Vietnam were Viet Cong Why are these details so vital to you? Paul Allor: Honestly, those kinds of small-ish errors in reviews don’t really bother me, but I was seeing them a lot, so I thought it might be worth mentioning. I debated it, but my thinking was, if I was writing a review, I’d want to know. But yeah, no one expects a comics reviewer to be a historian. For the book itself, though, accuracy was extremely important, and both Paul Tucker and I did a fairly massive amount of research to make sure our story had a sense of verisimilitude, out of respect for the men and women who lived through this conflict. What is the significance that Paul Tucker gets top billing on the cover? My personal feeling is that artists should always get top billing in comics. They’re equal storytelling partners, but put in far more time and effort on an individual book. So on my creator-owned books, I always ask my artistic collaborators if they’re cool with their name being first. And in this book in particular, a ridiculous amount of its storytelling success is due to Paul, from his extraordinary covers to his fantastic character work to his amazing use of color as a storytelling tool. How important were the consulting editors to your creative process? Pretty vital. The “consulting” modifier is pretty much just there to indicate that it’s a creator-owned book, and Paul and I have final say over it. But in every other respect, they were like any other editors, offering feedback on scripts and art, serving as sounding boards for any issues we might have, and generally shepherding the project through. I love working with editors. I don’t really understand creators who don’t. All of the scripts in this book were also workshopped through Comics Experience, which was tremendously helpful, and provided me with a lot of great insight on what was working and what maybe needed a second look. Did you ever consider delaying the 1984 flashback to a second issue or was it a critical that have occurred in the first issue? No, it was always planned for that first issue. The dual timeline structure becomes more important as we go on. And since a big part of the book is about the decades-long journey these three characters take, it was important to establish that scope early in the book. Plus, it fit really well narratively, providing a nice sense of dramatic irony, following Eugene and Ha’s conversation about their future plans, followed immediately by what actually happened. It deepens the mystery, and adds some tension to the story as we launch into the second half of the issue. How much does social media help you build your audience? Boy, I wish I had a decent answer for this. I don’t really know. I blab on Twitter a lot – a LOT – but I don’t know how effective it is. I don’t feel like I’m good at building a brand or developing a Twitter persona, or going about it in a deliberate way. It’s just me blabbing. So if it’s helping me build an audience, it’s probably happening despite my efforts, not because of them. What prompted you to take this creator-owned project to IDW? I had a really good relationship with both IDW, through my work on Teenage Mutant Ninja Turtles and GI Joe, and with Andy Schmidt, who’s overseeing the Comics Experience imprint. So it seemed like a good fit. Plus, I don’t think anyone else would have published this book. That’s not a dig on Comics Experience/IDW – it’s a compliment. This is a very niche, difficult-to-market book, and they’re very dedicated to putting out good comics, regardless of factors like market accessibility or multimedia potential. I think Andy’s philosophy is that there is a healthy market for great comics, so if you put out great comics, and you work hard to get the word out, the readers will find you. Even if, on paper, it doesn’t seem like a slam-dunk. Care to discuss Tucker’s coloring style as well as your lettering style? Paul’s colors in this book are so amazing. He’s doing so many things with them – using them to set the mood; to establish the different timelines; to get us inside the characters’ heads. He’s using them as an incredibly storytelling device – and honestly, I don’t have the proper vocabulary to discuss it as well as I’d like, or give him the credit he truly deserves. On the lettering side, I’ve always lettered my own creator-owned books, but I really tried to step up my game on this book, in terms of designing lettering that would mesh well with Paul’s art and advance the storytelling. So that’s how we came up with the rough, off-center narration boxes for our main character, and the text-only boxes, which hopefully give the feeling that you’re inside his head, as the visuals drop away for a moment. You shouldn’t consciously think that, of course, but that’s the mood we’re going for. It was very important to us that the writing, art, coloring and lettering all feel extremely cohesive in this book, that they all work together towards our common storytelling goals. To that end, we designed the visual vocabulary of our story before I’d begun scripting issue #1. And I think it paid off. Probably! But my lunch hour is ending at the ole’ day job. And thank you for taking the time to discuss it with me. It’s been such a joy to see media, readers and retailers discover and embrace this book. Paul and I are so incredibly proud of it. I hope folks check it out, and if they do, I hope they enjoy it.